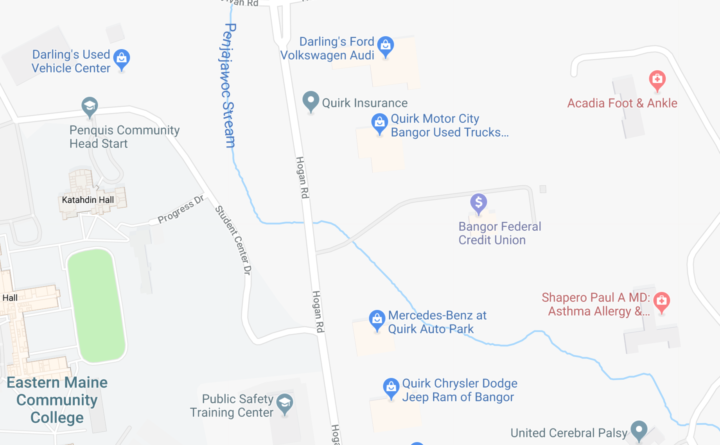 A break in a private water main on Hogan Road closed the Bangor Federal Credit Union’s branch on Saturday, according to the credit union’s Facebook page. The break did not affect other businesses in the area, said Pat Smith, construction department supervisor at the Bangor Water District. “It is a private line just to Bangor Federal. We are not responsible for it,” Smith said. He said Bangor Water District would send an inspector to monitor the situation. The drive-up and ATMs at Venture Way in Bangor and Dirigo Drive in Brewer were open Saturday from 9 a.m. to 1 p.m.